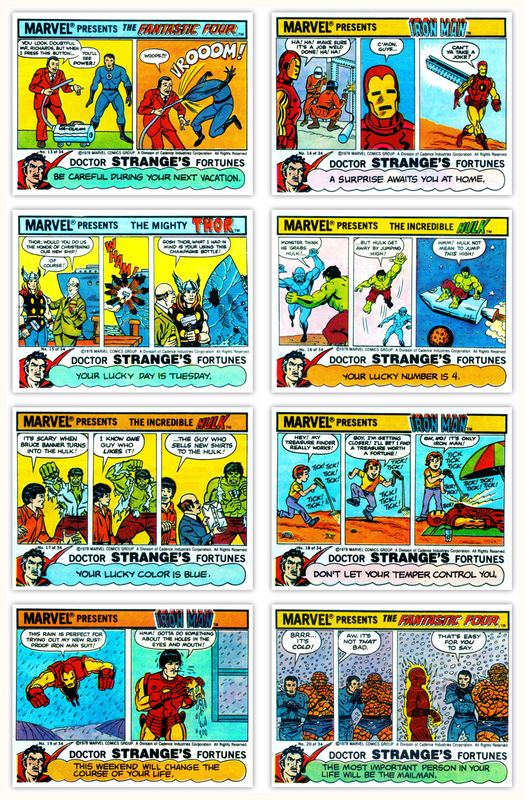 Marvel bubble gum comics (1978) | 'TAIN'T THE MEAT… IT'S THE HUMANITY! This will have to be another quick post, not so much because I’m busy but more because there isn’t that much I can say about these bubble gum comics from 1978. 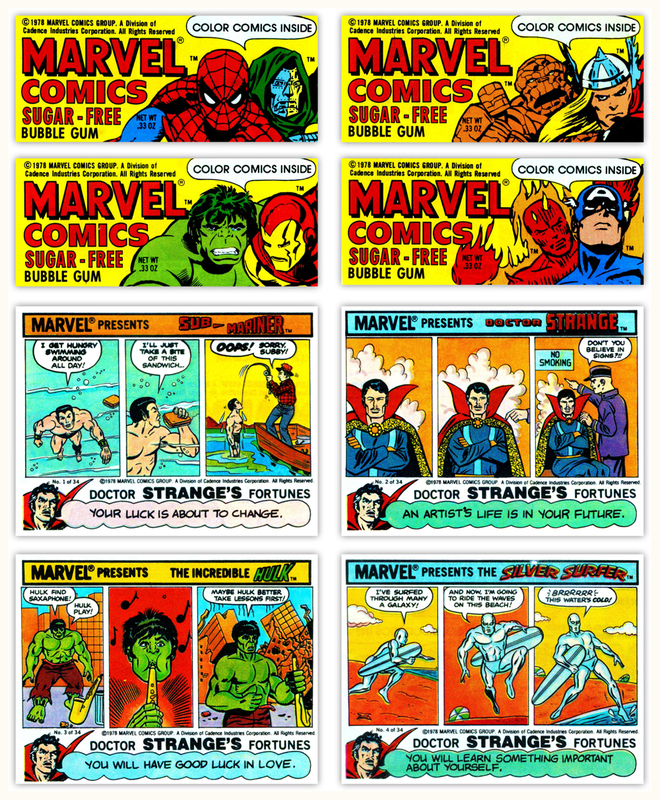 Released by Topps, and licensed from Marvel Comics, these packs contained one stick of bubble gum measuring 3.5in x 1.5in, wrapped in foil with a outer paper wrapping that came in four different designs. 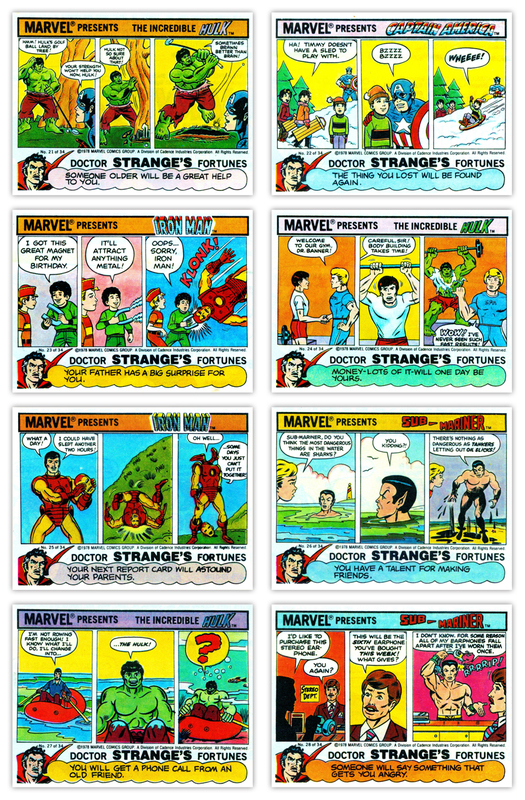 Printed on the inside of the wrapper was a 3-panel cartoon strip depicting a Marvel character in a humorous situation and a fortune from Dr. Strange. There were 34 of these comics in total to collect. 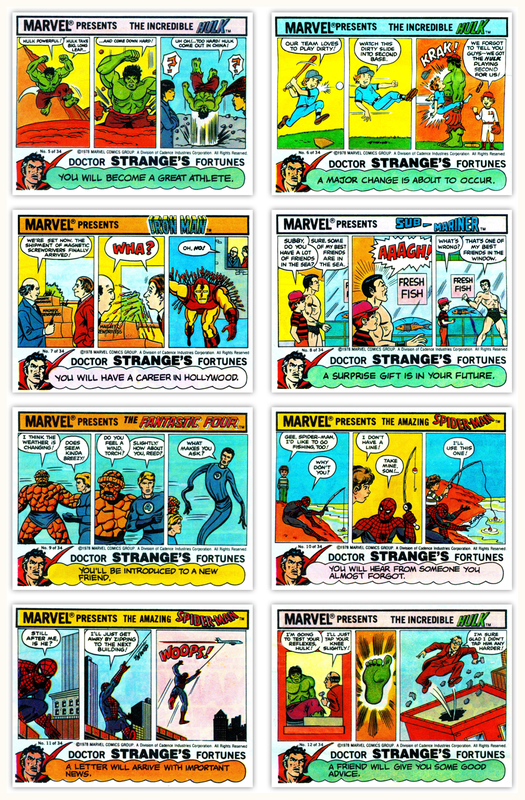 I’ve no idea who the artist was – the drawing style is too crude for it to have been one of Marvel’s regulars – but I suspect they were commissioned by Topps directly. And that’s about all I know about these ‘comics’. 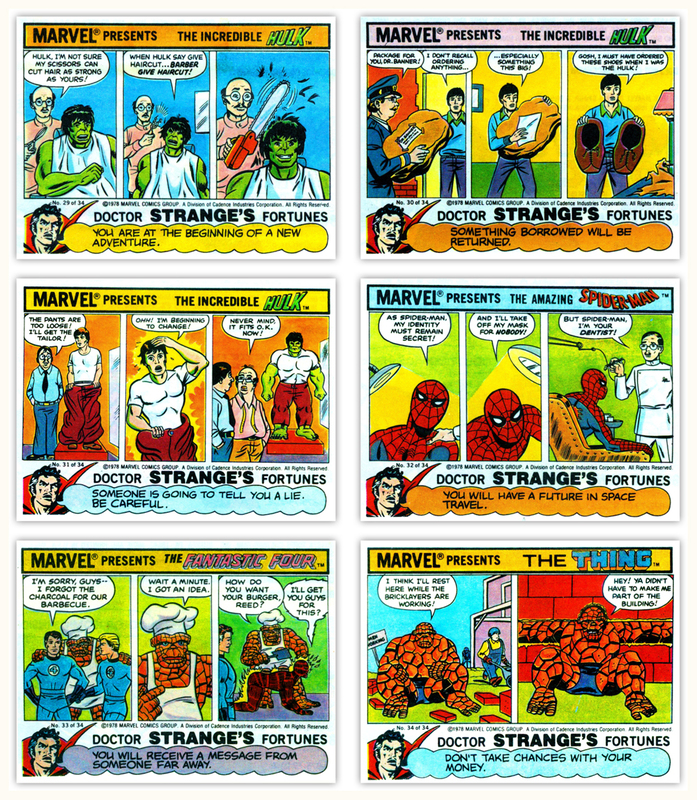 I remember my reaction when I first started collecting them as a kid: firstly, I did find them funny and secondly the Dr Strange fortunes were hilariously awful. My favourite is number 32: ‘You will have a future in space travel”, this one tickled me the most as it seemed both vague and hugely specific at the same time. And since when was Dr. Strange, Master of the Mystic Arts, a fortune teller? These bubble gum comics are all but forgotten now and I could discover almost nothing about them online. Pity really. I appreciate they aren’t as collectable as the bubble gum stickers from a couple of years earlier but they are not without their charm. And I still have one unopened packet left – there’s an image of it at the top of this post – but I’m not sure I’ll chance the gum, it’s almost as old as I am.